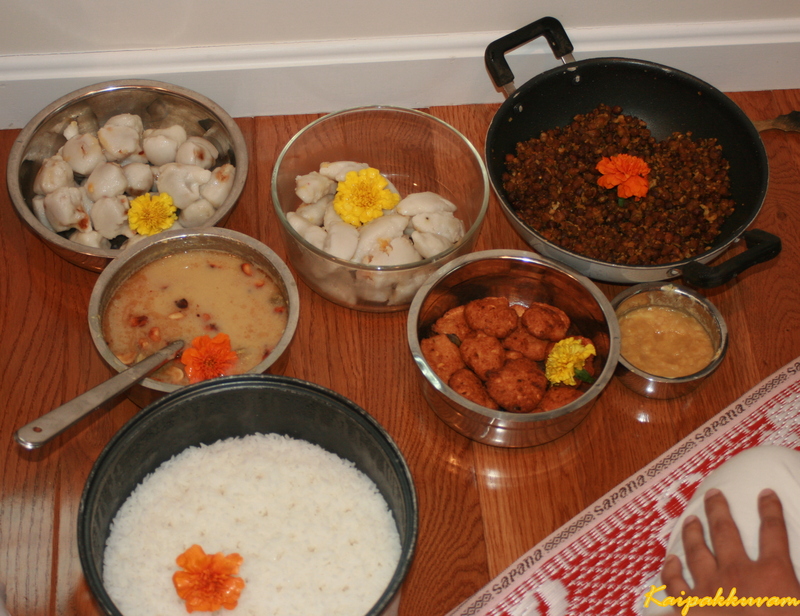 “Ganesh Chaturthi” is one of the most popular Hindu festivals. 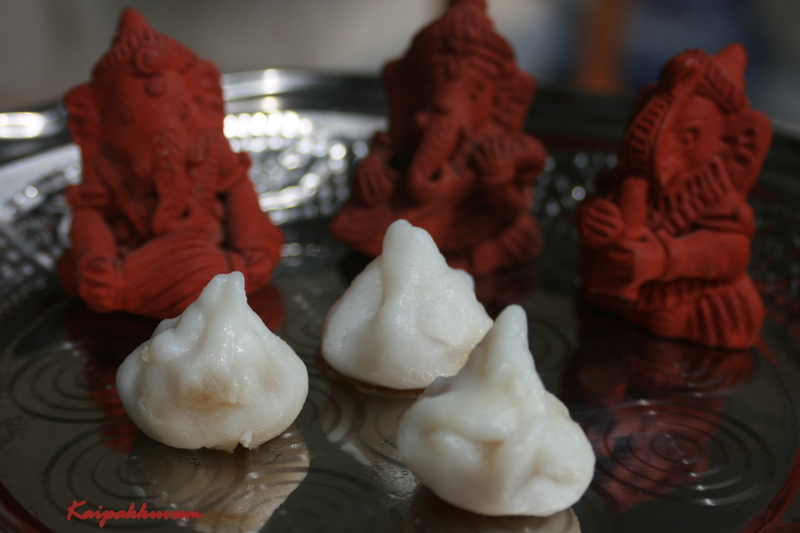 It is also called “Vinayaka Chaturthi” or “Pillayar Chaturthi”. This is the birthday of Lord Ganesha. It is the day most sacred to Lord Ganesha. It falls on the 4th day of the bright fortnight of Bhadrapada (August-September). It is observed throughout India, as well as by devoted Hindus in all parts of the world. Clay figures of the Deity are made and after being worshipped for two days, or in some cases ten days, they are thrown into water. 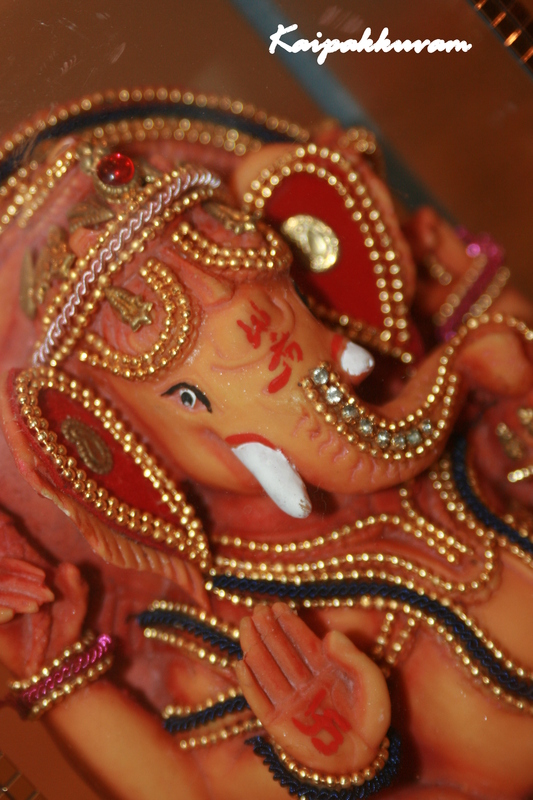 Lord Ganesha is the elephant-headed God. He is worshipped first in any prayers. His Names are chanted first before any auspicious work is begun. He is the Lord of power and wisdom. He is the eldest son of Lord Shiva and Goddess Parvathi, the elder brother of Skanda or Kartikeya. Once upon a time, the Goddess Gauri(consort of Lord Shiva), while bathing, created Ganesha as a pure white being out of the mud of Her Body and placed Him at the entrance of the house. She told Him not to allow anyone to enter while she went inside for a bath. Lord Shiva Himself was returning home quite thirsty and was stopped by Ganesha at the gate. Shiva became angry and cut off Ganesha’s head as He thought Ganesha was an outsider. When Gauri came to know of this she was sorely grieved. To console her grief, Shiva ordered His servants to cut off and bring to Him the head of any creature that might be sleeping with its head facing north. The servants went on their mission and found only an elephant in that position. The sacrifice was thus made and the elephant’s head was brought before Shiva. The Lord then joined the elephant’s head onto the body of Ganesha. Lord Shiva made His son worthy of worship at the beginning of all undertakings, marriages, expeditions, studies, etc. He ordained that the annual worship of Ganesha should take place on the 4th day of the bright half of Bhadrapada. He is the Lord who removes all obstacles on the path of the spiritual aspirant, and bestows upon him worldly as well as spiritual success. Hence He is called Vigna Vinayaka. Beautiful explanation of chaturthi by Sri Swami Sivananda. 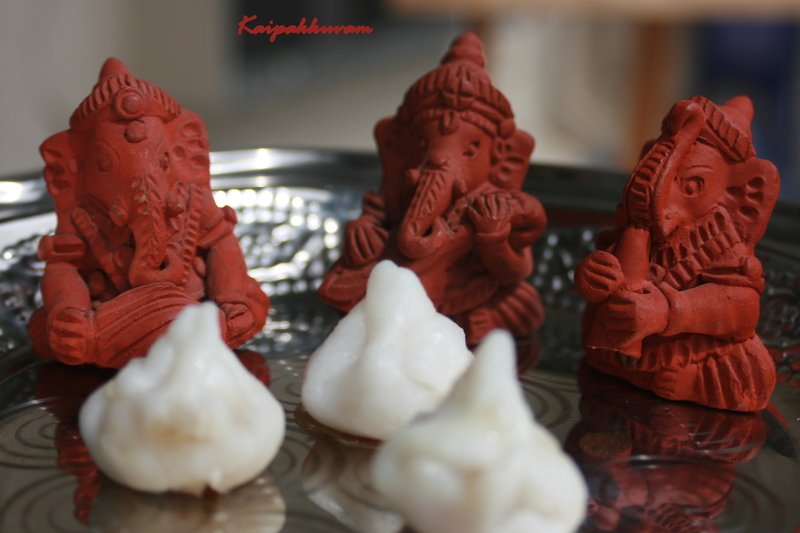 The following are some of the common Names of Lord Ganesha: Pillayar, Sumukha, Ekadantha, Gajakarnaka, Lambodara, Vignaraja, Ganadhyaksha, Gajanana, Vinayaka, Vakratunda, Siddhivinayaka, Surpakarna, Heramba, Skandapurvaja, Kapila and Vigneshwara. 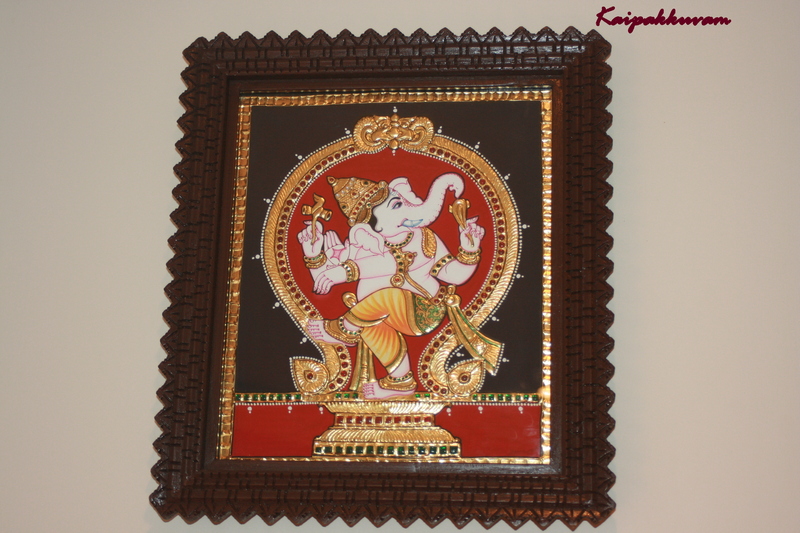 He is also known by many as Maha-Ganapathi. 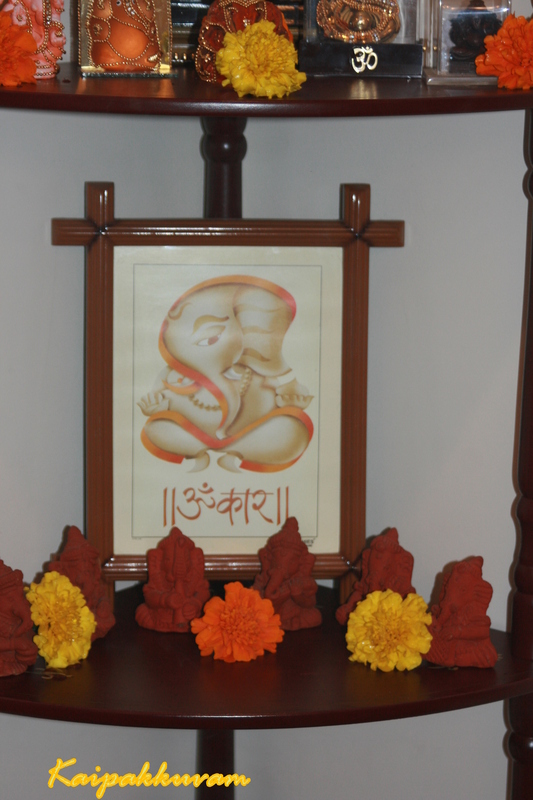 It is good to chant Ganesha Gayatri Mantra, which is as follows. He is very fond of sweet pudding or balls of rice flour with a sweet core. 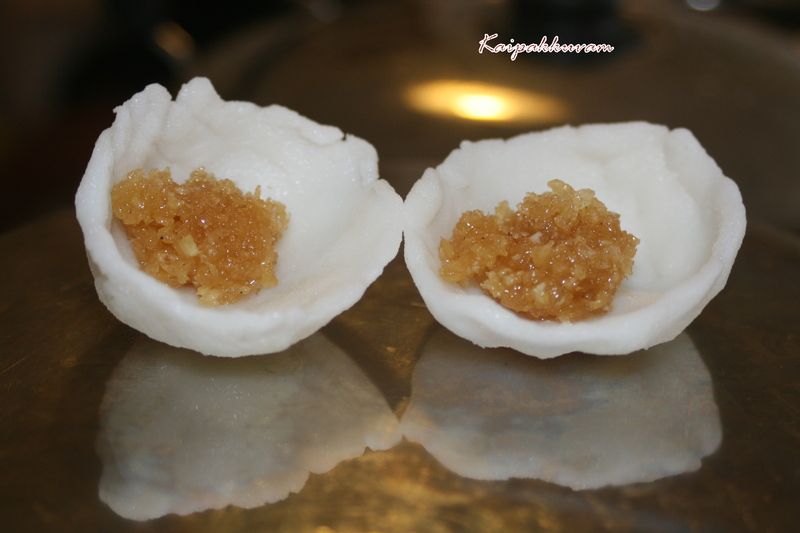 Its called “Modhakas” or “Kozhakattais” in Tamil. While celebrated all over India, it is most elaborate in Maharashtra( Mumbai). Huge statues of Ganesha are made , decorated and worshipped for 10 days and finally given to the Ocean. Lord Ganesha is very intelligent. When Narada announced, he will give the Divine mango to whoever finishes a full turn of the world, Lord Muruga, his younger brother set out to take a trip of the entire world in his peacock, while Lord Ganesha just took a complete turn of his parents Shiva And Parvati- and gave an explanation, that his parents meant the world to him. As kids, I and my brother would go and collect Arakampul- a type of grass and erugam flower to make garlands for Ganesha. 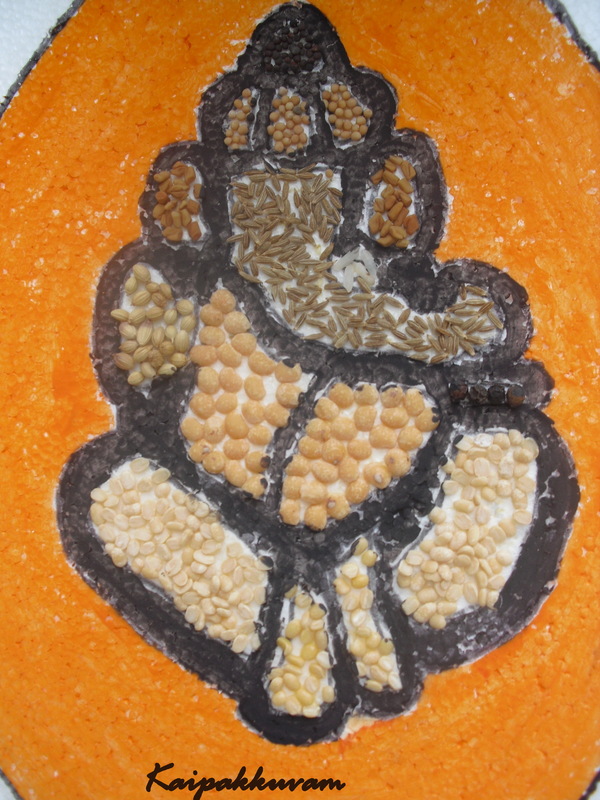 Our Dad would buy the Clay Ganesha from a mould and Mom would be busy with the Neivedhyam preparations, while I help with the flower collections and decorations. Dad would perform the poojai and since I was learning music, I would sing all the pillayar songs I know, starting from Geetham to keetanai. We would be waiting for the neivedhyam, to finish, so we can taste the vadai and modhakam and tell mom, if the salt is ok. Since all these offerings can’t be tasted beforehand, mom would welcome our comments, to rectify the salt and spice levels for the further preparations for the humans. Poor GOD never says a word. But with practice, you will end up doing it right eventually. Well, I would say I go “Nuts for Ganesha”. 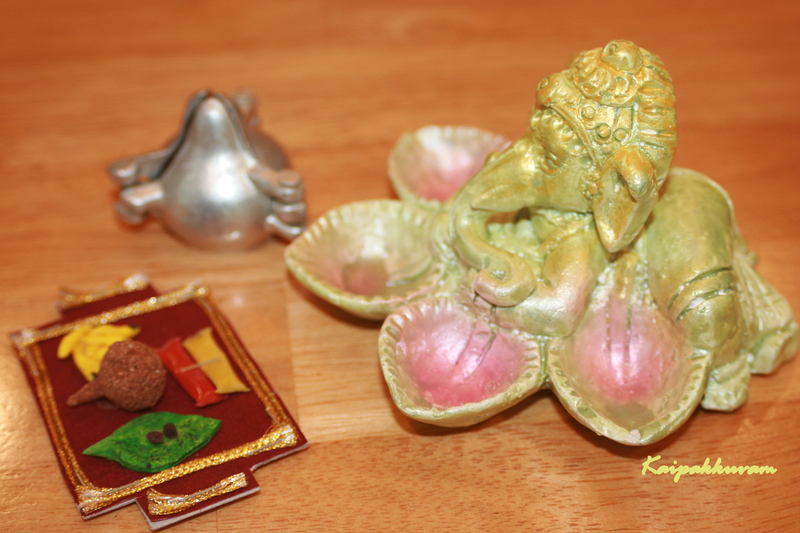 There are more than 60 Ganesha’s in my home (in US), which I have collected over 9 years. 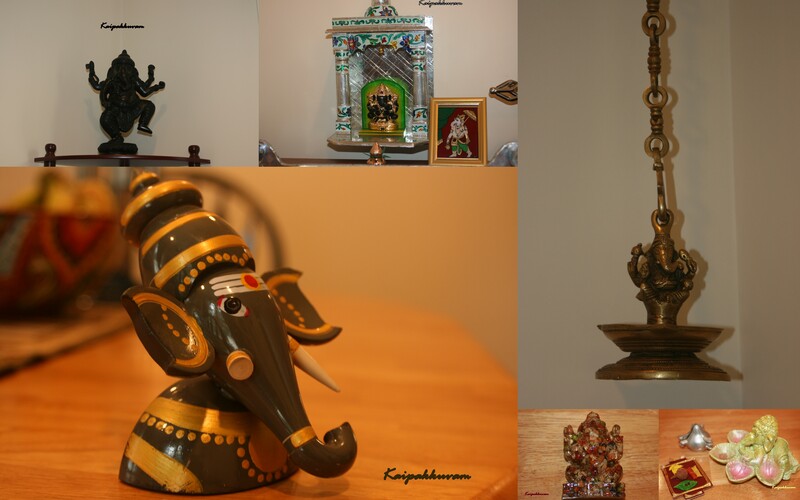 The Collection started when 3-4 friends gifted Ganesha for my wedding. I cherish them till date. The Ganesha could be anything from a brass hanging lamp, a pendant in a necklace, Silver idols, Terracotta, Clay figure, Glass painting, Diwali Diya, Tanjore painting, a fabric art piece, hand made-Cross stich Ganesha, plastic ones, wooden puppet Ganesha’s, Coral Ganesha, Ganesha made in glass, wooden sculptures, Stone Ganesha’s, kumkum box, Spices Filled statue etc………….. 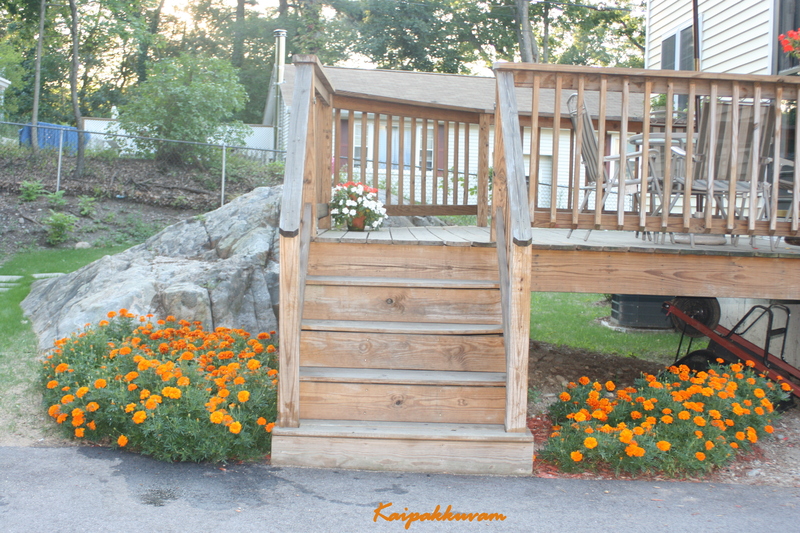 He is like my Good Luck Charm…..
As children, we use to hop house after house in the colony to win in the competition, “who sees the maximum number of Ganesha’s on Vinayaka Chaturthi Day”. That was Fun! Allow water to boil, add salt and add flour little by little, without forming lumps and cook well until it becomes soft. Turn the heat off, when the dough becomes not sticky. Add coconut, jaggery, cardomom in a pan and mix well and cook until it gets thick and add ghee. Make choppu or round cups with the dough, using oil and water to dip hands inbetween. Put a small amount of filling and close the cup. Steam it until the modhka becomes shiny. Offer it to God and Enjoy! 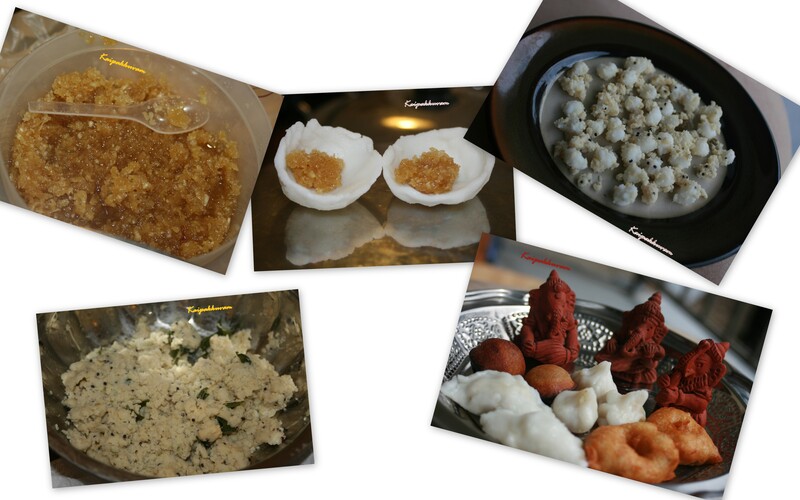 The offerings for Ganesha are Vella Kozhakatai( Sweet modhkas), Ulundu kozhakattai (Salt n Spicy Modhkas), Vada, Dhal Payasam, Plain Rice, Cooked Thoor dhal, Pacharisi Idli, Ellu ( Sesame Kozhakattai), Ammini ( Mini)Kozhakattai, Sundal, Appam Etc. A drop is ghee is sprayed to cleanse( anna suddhi) before offering it to GOD. Typically,Rice is soaked, dried and ground to a powder. But I use the store bought fresh packet of rice flour and it works just fine.